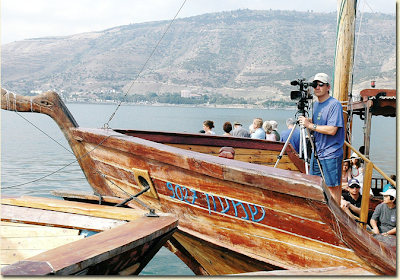 Three trips to Israel to film it. I’m thrilled that these DVDs are finally available! I had the privilege of serving as the “Tour Guide” on this set of DVDs—released just today and also available as video downloads for your mobile device or computer. 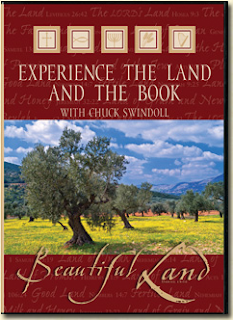 You’ll hear six practical messages Chuck Swindoll gave onsite in places like Jerusalem, Caesarea, the Mount of Beatitudes, and the Sea of Galilee. You’ll also “meet” six characters from Scripture through gifted actor and professor, Reg Grant. Watch this video for a taste of what you’ll get . . .
We produced these DVDs especially for small group Bible studies, for which an accompanying workbook is also available. I really hope you’ll go for it.